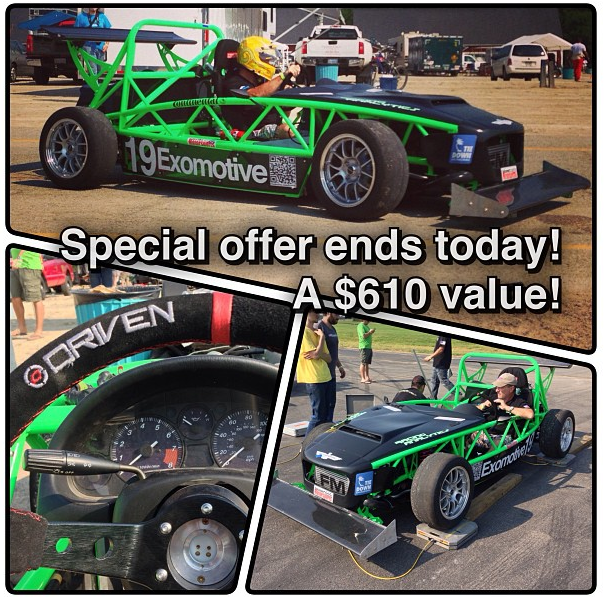 Exomotive - US Manufacturer of Exocars & Kit Cars | Last chance! Our free wing mounts and Driven Steering wheel offer on new Exocet Sport and Race models ends today! 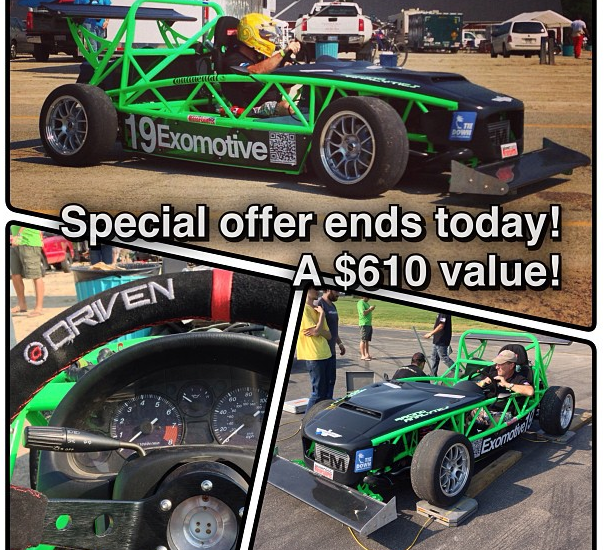 Place your deposit at store.exomotive.com and receive this $610 value free!